So every 2.8 version share same settings. Hi! The addon doesn’t seem to download the latest versions for the last couple of days (screenshot attached) and i see that there is an issue open about the same thing on github. Thank you for the addon by the way! When it shows new version to download, date is same as on builder (upload server time). For local versions it shows commit date (same as on blender splash screen), because upload server time is kinda random and doesn’t have much sense. Commit date and upload date are different. Hi ! i just downloaded new version (1.4.0) and it seems to have an issue at my place (windows 10 64 bits). When getting a new version, it crashes almost every time on “finishing” stage. When i restart the app, the new version is here, up and working. And a little question, do you plan to continue developping this tool when 2.8 is out and stable ? i’d be glad to be able to continue using it for daily versions and stable build ! Maybe it would be an idea to have a way to switch between them (stable/daily switch button). Just throwing suggestions here, the tool is great, thanks a lot for it ! There is a known issue with permissions which has kinda random behaviour. I using program daily, so developing will continue. I used to experience similar issues, but running the application as an administrator fixes it. Thanks for creating this awesome tool! 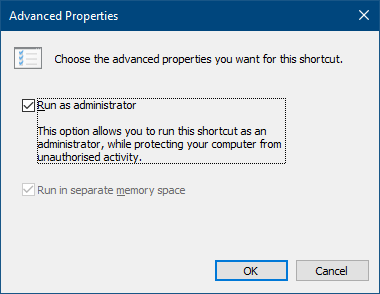 As @mindflux mentioned it is better to run program as administrator. However, in this release such bug shouldn’t exist! Hi! I was wondering if it would be possible to think about adding a renaming option in the app screen itself? As mentioned earlier there are other branches of blender such as the Mantaflow and Sculpt Mode hosted on graphicall which for example i download in the same folder and they show up in the version manager and it would be good for distinction at least in my case. I used to do this with the previous version of the manager where i renamed the folders and they showed in the main screen respectively but now that is not possible. Anyway, just a thought. Thank you! Similar question was asked before. Answer still the same - I am aware of this feature, but it needs research and some major functionality update. Right now I don’t have much time to dig into it. In theory it is only about changing host site from builder to graphicall, but then we need a good UI for such tasks. I am sorry, I think there was a small misunderstanding, i was just referring to a simple renaming option for the downloaded blender versions in your version manager itself and whether its possible to add it. It needs some form of “about” menu. IMHO the homepage link is the minimum to have. I guess this topic serves as a home page? Allow more possible action on the tray icon. IMHO, it could be interesting to have the possibility to launch blender from this tray icon. I suppose the simplest way to do so would be to bind it on double click or mousewheel. Some softwares push it further by including double click, mousewheel click, … AND let the user choose what does those clicks. I don’t want to overcomplicate app right now, but missing documentation is a good point! Will try to manage mentioned topics soon. Ehm… Mac please? Looks like a great addon! But it’s in a sub menu. What if we could just do a simple click or double click the icon tray? It’s fast as light yo! The latest version keeps crashing for me. I’ve tried changing folders, which works at first, but once it’s downloaded and extracted it crashes. “Failed to execute script main”, if I try to launch it again after the initial crash. Version 1.3 continues to work, which is fine. Did you try to run as administrator? I use 1.3 to set a new folder, then run 1.4.1 as Admin which runs just fine. Once the file extracts completely, the program disappears. I then try to run 1.4.1 again as Admin, but I get the “Failed to execute script main” error. I usually have my install folder on C:, but I’ve since tried putting it in My Documents, and a secondary internal storage drive. Are there any temporary files I should try deleting, then restarting my computer? Or anything like Java or Visual Studio that I should update? You don’t need any prerequisites to run it. I will send you debug version as soon as I can.